Morton Johnston, General Manager of the five-star The Chedi Muscat in Oman, has been a part of the GHM family for over a decade. 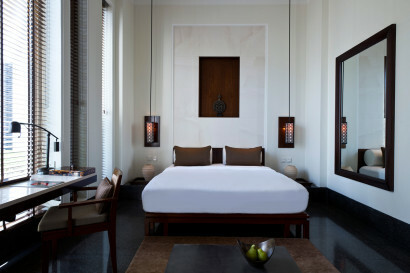 Johnston originally joined The Chedi Muscat in 2004 as Rooms Division Manager. 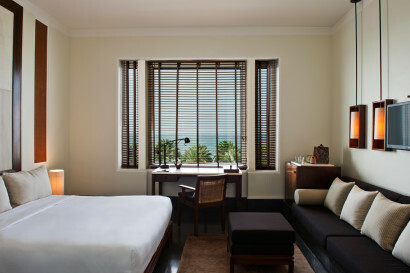 He was part of the pioneer team and in 2006, after two years in his role, was promoted to Executive Assistant Manager of the award-winning resort. Mr. Johnston is now looking forward to taking The Chedi Muscat into its second decade and continuing to grow the reputation of the hotel from strength to strength. 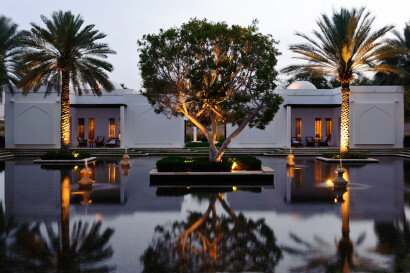 The Chedi Muscat is a 5-Star Beach Resort, the only member of The Leading Hotels of The World in Oman. 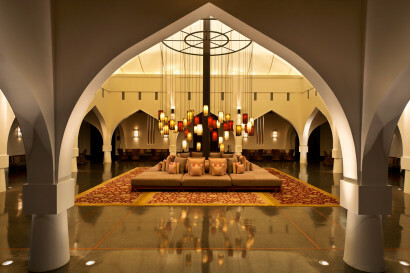 The Chedi Muscat, Oman’s first contemporary hotel, opened its doors in 2003. The resort offers understated elegance and a perfect mix of Omani architecture and a profound Asian Zen-style. The Chedi Muscat offers two floodlit tennis courts and a 1,500-square-metre spa and wellness centre with 13 exclusive spa suites and Health Club stocked with 30 pieces of top-of-the-range Technogym equipment from the Visio Web line, Pilates equipment, Power Plates, free weights and a Kinesis wall. High- and low-impact group exercise classes, as well as personal training sessions, are available to further ensure that your fitness goals are achieved. 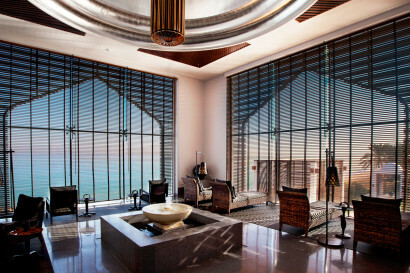 A dedicated ladies-only sauna and steam room is separate from the sauna and steam room that is exclusively reserved for gentlemen, completing the extensive offering of facilities at The Health Club at The Chedi Muscat. 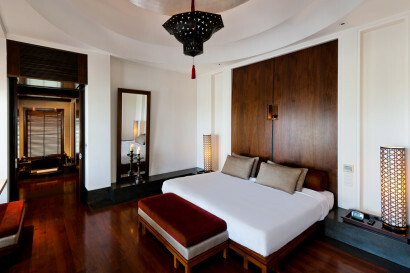 The 800-square-metre spa is a true sanctuary with 13 fully self-contained spa suites including private changing facilities that are the epitome of understated elegance. The Spa embraces eastern philosophy with Asian oriental rituals, and also offers an extensive variety of beauty rituals based on the holistic principles of aromatherapy, Ayurveda and herbalism by Ila, VOYA, REN, SpaRitual, Themae, Aromatica, Karuna, Tisserand. 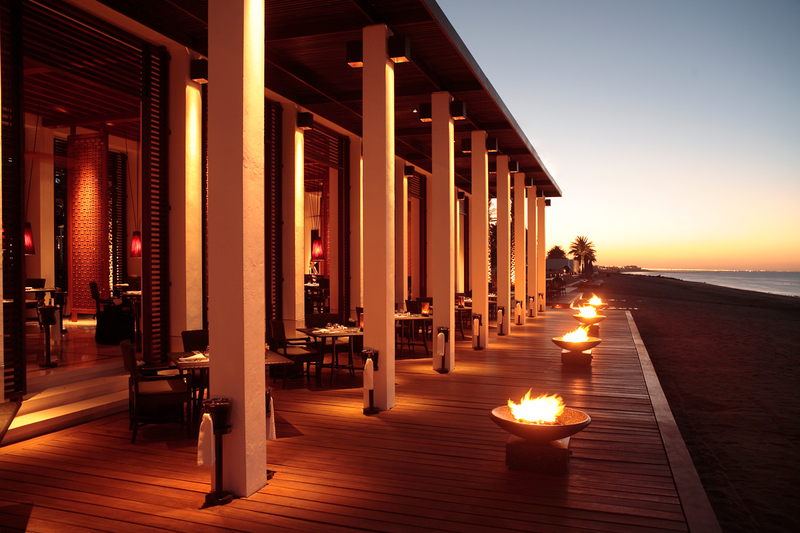 Embark on an irresistible voyage of dining pleasure with a choice of eight restaurants & lounges, featuring Arabic, Asian, Indian, Japanese and Mediterranean cuisine, as well as seafood served at The Beach Restaurant. 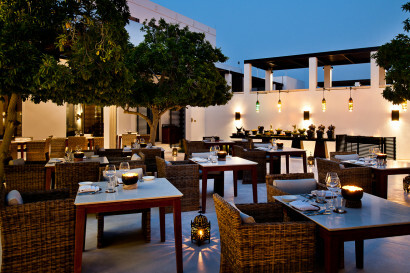 All dining options are sure to promise a memorable dining experience, with both outdoor and indoor seating options catering to every season. 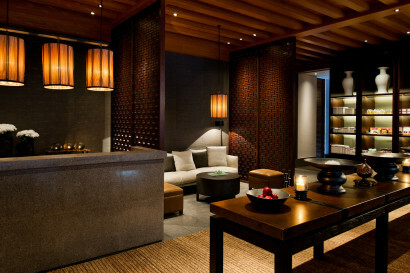 The Boutique offers a superb choice of limited edition art, fashion pieces and gifts that are exclusively available at The Chedi Muscat. • The Long Pool is the longest pool in Arabia at 103 meters. • Unique award winning design of Jean Michel Gathy of Denniston architects. 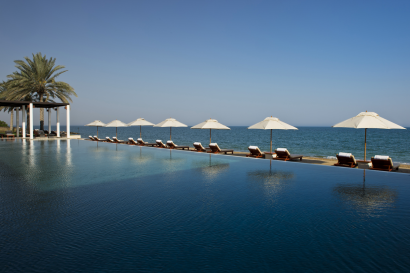 Occupying a prime beachfront location, this exclusive 21-acre, 5-star beach resort is located 20 minutes north of old Muscat, the capital of The Sultanate of Oman at Al Ghubra. Airport is only a 15-minute drive away. Concept: Four open display kitchens serve Middle Eastern, Western, Indian and Asian cuisine. 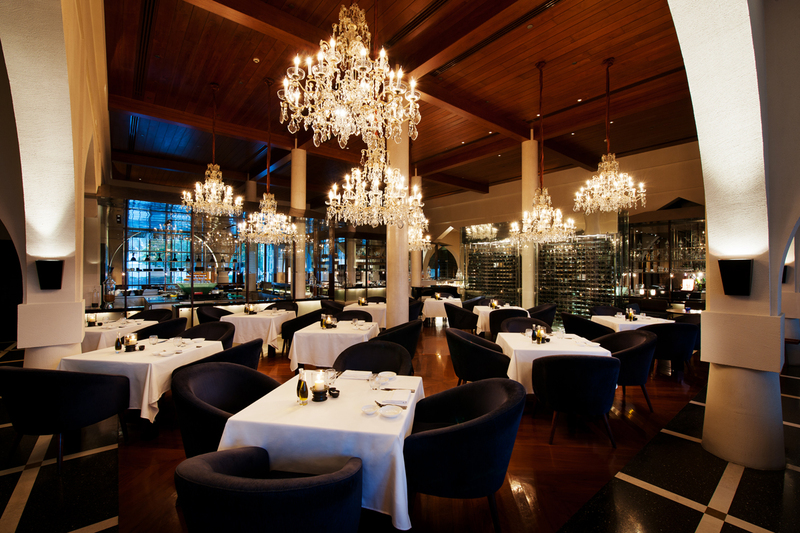 Concept: Fine dining venue serving seafood, crustaceans and fish. Contemporary setting serving refreshments, cocktails and pastries. Light meals, assorted refreshments for adults only. Light meals, sandwiches, international specialities and assorted refreshments. Japanese and Asian specialities for adults only. The 700-square-metre Health Club is stocked with 30 pieces of top-range Group exercise classes as well as personal training sessions are available. A dedicated ladies only sauna and steam room as well as a sauna and steam room that is exclusively reserved for the gentlemen. Two floodlit tennis courts are available for all guests. The Long Pool, 103-metre, lengthiest in the region – that is also for adults only. 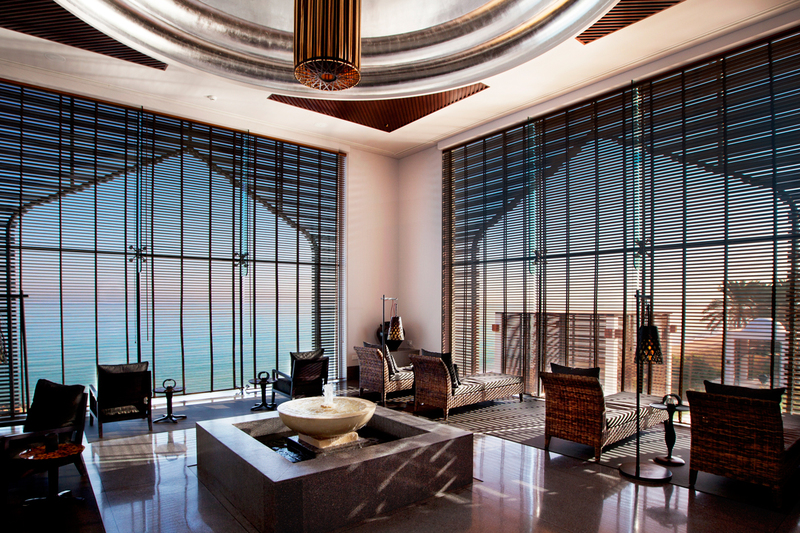 The Serai Pool with its black mosaics and an elegant canopy is family-friendly. A private dining facility attached to a separate lounge area available for pre- and post-dinner drinks for up to 60 guests. A private dining facility with a small lounge area that is ideal for a maximum of 14 guests. High- and low-impact group exercise classes, Yoga as well as personal training sessions are available.